MUMBAI: Portuguese DJ and producer KURA has announced his upcoming master class, in partnership with Mega Hits. 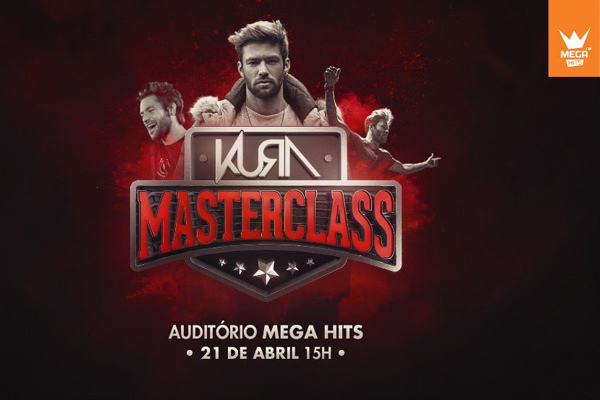 Taking place in his home country for the first time, the master class, lead exclusively by KURA, will take place on 21st April 2018 at the Mega Hits HQ in Lisbon. After master classes both at Amsterdam Dance Event and Miami Music Week, Kura now turns to Lisbon to share his work methods and production secrets. With a limited availability of 100 aspiring artists to be selected, the lucky attendees will see the Portuguese producer analysing one of his successful tracks; explaining how it was produced from sound selection to final mix. Alongside the exclusive learning opportunity, participants will also have a demo feedback/listening session (limited to one track per person) where KURA will give his expert input and an informal get together, with snacks and drinks. Kura recently completed a successful trip to Miami Music Week and Mexico’s Medusa Festival, where he captivated fans with his high octane productions, including latest single Fuego with British DJ Olly James. The collaboration was premiered by revealed label boss Hardwell on his globally-renowned ‘On Air’ radio show. Away from his musical endeavours, Kura has been selected amongst fellow high profile Portuguese stars, including footballer Cristiano Ronaldo and supermodel Sara Sampaio, to unveil the nation’s football kit for the forthcoming World Cup in Russia this Summer. MUMBAI: There was a gargantuan wave of musical mayhem emanating from Antwerp’s Sportpaleis this December. Belgian DJ duo Dimitri Vegas and Like Mike, in partnership with Tomorrowland, delivered the newest chapter in their annual homecoming shows with the winter edition of Garden of Madness.